I started playing the piano at age 7 and started writing music at age 16. I enjoy sitting down at the piano and just letting my fingers take off! I follow the Primary Music Leaders facebook page. I noticed a few discussions about what to do/sing when someone in the ward passed away (a child or parent especially). I was thinking how it would be so nice to have a song that addressed this situation. Sure, there are songs that brush the topic but it’s such a big part of life I felt it needed it’s own song. I have had very little experience with death. For that reason I felt I shouldn’t write this song. But the prompting was strong. I told my husband Sunday morning of the October 2018 General Conference about my prompting. I said, “If there is a talk about death, I will know for sure I need to write a song about this.” First talk of that morning was President Ballard’s talk, “The Vision of the Redemption of the Dead.” Heavenly Father blessed me with reassurance. I started off trying to write about what happens when a person dies. Shortly after doing this I was stumped. I prayed about it. Later I had an impression to focus the song on the Savior. No wonder I wasn’t being inspired. Without the Savior, there would be no hope associated with death. The sting of death would be unbearable. Reading Doctrine & Covenants 138, as suggested by Elder Ballard, I found my chorus in verses 23-24: “And the saint rejoiced in their redemption, and bowed the knee and acknowledged the Son of God as their Redeemer and Deliverer from death and the chains of hell. Their countenances shone, and the radiance from the presence of the Lord rested upon them, and they sang praises unto his holy name.” That was a good place to start. My first draft was about how people feel sorrow but, there’s Christ, so all will be OK. I felt like it was insensitive. I read articles and listened to people about their experiences. Some people who experienced the death of someone close said people would tell them they must be so grateful for the Savior and not address their grief. I really wanted to rewrite the lyrics to validate that everyone experiences a wide range of sad emotions: grief, sorrow, loneliness, anger, confusion while still manifesting the hope of Christ. The second verse to my song says, “While I have time on earth I will keep God’s commands. For I want to return to heaven and be with my loved one again.” Having previously written this line, and hearing President Nelson’s words, I felt the spirit guided me to hit that nail on the head. We must do our part to be with our loved one again and Christ will make up for what we lack. He is risen. He atoned for our sins. Because of Him we can be with our loved ones again but we need to do our part. Do I feel loneliness or anger? Am I wrong to feel so much pain? The spirit to comfort me. My knee shall bow for my Savior, Redeemer. My lips shall sing His praise. That life goes beyond the grave. I will keep God’s commands. And be with my loved one again. Atoning for all who would live. Deliv’rence from death and sin. There have been many songs about Christ but none where I heard that phrase, “joy of Christ.” It is so beautiful. I almost felt that the phrase was written just for me. In further searching, it is the only place in all scriptures where that exact phrase is used. When I took this song to an editor, my heart was elated when he told me when I sang the part of this song where there is a pause between the lyrics, “I will not forget” and “my covenants” he thought, “Wait, what am I not supposed to forget? Oh, my covenants.” That is exactly what I wanted! Hopefully children will pause to wonder (and always remember) the same thing. The 2nd and 3rd verse came so easily I knew I had heaven’s help. Thus, this song was born. I promise to serve and keep God’s commands. Great blessings await on the covenant path. I’ll feel the joy of Christ enter into my life. When I don’t forget my covenants. Sins that wash away and leave my hands pure and clean. I’ll cleave to the Savior and he’ll strengthen me. To keep greater cov’nants that I’ll be making there. To make righteous choices and reach up with faith. I love that while the music is simple, the message is inspiring. Making it applicable for senior primary too! I’ve mentioned before that I’m not a music major so this post is for people like me who don’t know all the technicalities with music writing! I recently learned a little about notating in 6/8 time. When writing out music in this time signature think about which notes are often being emphasized: 1 and 4. It has a feeling of 2 sets of triplets. 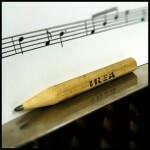 So when writing out music, a half note is never used. If you did have 4 beats for one note you divide it by having a dotted quarter note tied to an eighth note if it is at the beginning of the measure, or an eighth note tied to a dotted quarter note if it was the last 4 beats of the measure–breaking it up 3 eighth notes by 3 eighth notes. See how I have 4 beats but tied them together so the measure is divided by three beats? It helps for reading the music and counting out the rhythm. Think about it 1, 2, 3, 4, 5, 6. You paused a little after the 3 didn’t you? This is my new discovery. Hope this helps you too! Of all the songs I’ve written, I really felt Heavenly Father wanted me to do this one. I was singing “Have I Done Any Good?” in my head. When I got to the end, I just started singing “Love One Another”. When I pulled out the music I was almost dumbfounded that both of these songs were in the same key, same time signature and the last note of “Have I Done Any Good?” is the same note as the first note in “Love One Another”. Therefore I would be able to easily transition between songs. When I did an online search I couldn’t believe someone hadn’t put these two songs together before! I was further astonished when I found an if/then statement that connected the two songs. “Love One Another” ends with “…If ye have love…”. The chorus of “Have I Done Any Good?” starts with “Then wake up and do something more…” If we love as our Savior we would want to wake up and do something more. I was able to add this connection in my arrangement. Every time I get to these connected lines, I get goosebumps. I felt like this arrangement was complete revelation to me and I love the spirit these songs bring! I have 3 voice options. The first does not have piano intro, the singer starts. I have learned some people don’t like that so the second option has a piano intro. The third voice option is made with primary children in mind. It is only “Have I Done Any Good?” and it follows the hymn book more closely. A big thank you to the amazing violinist Rebecca Moench for wanting nothing but the best for this recording! Also to Kenny Amamcher for a great recording session. This is the first recording I have that I feel like maybe someone would want to listen to for fun and not just get an idea of what the song would sound like. I’ve written a medley of Have I Done Any Good?/As I Have Loved You. I am currently waiting for permission to post it because of copyright on As I Have Loved You. There isn’t any copyright on Have I Done Any Good? So, I thought I would post this now. This is one of President Monson’s favorite hymns. I heard him quote it in a general conference talk, so I looked it up. I love the lyrics but I thought the music could be updated, so, that’s what I did. Just wait until the choir arrangement comes out! I think it is turning out beautiful so far. After this last general conference, and noticing how much emphasis was on following the promptings of the spirit, I thought the timing of this song was perfect. I wrote this song in 2010. I recently realized the piano wasn’t quite right and the lyrics to the second verse were off. I fixed it up and feel so much better about it. Since my mother-in-law pulls it out every Thanksgiving I really wanted to make it something I could feel good about. I think it is so much better now!